Popularity, with its vast degrees of circumstance, subjectivity and chronology, at its basic state is an illusion which prevents, or hinders a person from achieving ‘actual’ success, if said success hasn’t already been obtained. Meaning, at the different stages of life, popularity only matters in the end game because at any stage before the end game, it pulls people away from what matters, reality. 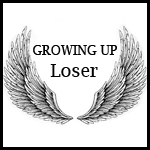 Growing up a loser is in some sense a birthright. You don’t get to choose it, just as the people who are deemed popular don’t necessarily choose that either. Any human characteristic can segregate you from the popular crowd. Race, religion, intelligence, the clothes you wear, the car your parents drive, the way you talk, whether you wear braces or not, and/or just being the new kid may all resort in you being labeled as a loser. However, being exiled, outcast, picked on and left out of pseudo social activities may have been the best thing to ever happen, and here is why. While the ‘cool’ kids are exchanging notes (test messages today), talking about pop culture at lunch (yes it is a side effect of popularity), who is wearing what to the next birthday party, you are left alone to ponder life, but more importantly to focus on the curriculum (or a goal) set before you. You see, being a loser affords you plenty of time to concentrate on things that actually matter, not ‘who kissed who’ in PE class. Sure, being isolated from your peers over years and years of schooling may make you jaded, but in the end, if you channel your energy (which [hopefully] you are not wasting on trying to fit in) on academics, sports, constructive activities and exploring real social etiquette, you are preparing yourself to retake the popularity crown in the end game. You will be growing up a loser, but ending up a winner and that is what ultimately counts: The end game. While your peers are desperately trying to fit in and gain favor from one another, you are probably having real conversations with real adults, like your teachers, parents, coaches and administrators (since your peers won’t talk to you). I can only imagine how asinine some of the conversations could be at the popular table during lunch compared to the grander scheme of life and the world, but I assure you the conversations you are missing at that table do not outweigh in importance the ones you have with [insert adult here]. At the very least, you are not developing any bad habits at that lunch table and are honing your skills in addressing people in a conversation in subjects that matter. When you are growing up, you need goals not distractions. Anything you do to gain in popularity before you are an adult means nothing. The less persuaded a person is to be popular, the greater chance that person has of doing what it takes to develop as a successful adult. The world does not recognize popularity, it recognized fame. In order to be famous, you have to do something with your life. Even as an adult, if you set goals and they are hindered by the desire to fit in and go out and waste time, you are excusing your own fame and success. If you are labeled a loser, make sure you take full advantage of the days without drama, senseless notes/text, emphasis on fashion (when no one cares what you look like), and what is on TV. Use that time to grow as a person, not grow around other people. Popularity only last until we all grow up, after that, the world will measure you by your successes, not how many people sat with you during lunch time or how many people you can get to go out with you on Saturday night. It’s all about the end game and if you see that early on, fame not popularity, will find you.